We also offer private yoga for one-on-one instruction or small group yoga sessions where you can get individualized attention and focus to help you find poses and modification that work for you. This is a great option for those who are brand new to yoga, teachers, or regular practitioners. You can expect an individualized practice designed with your goals in mind. Contact us below or book online if you’re interested in signing up. 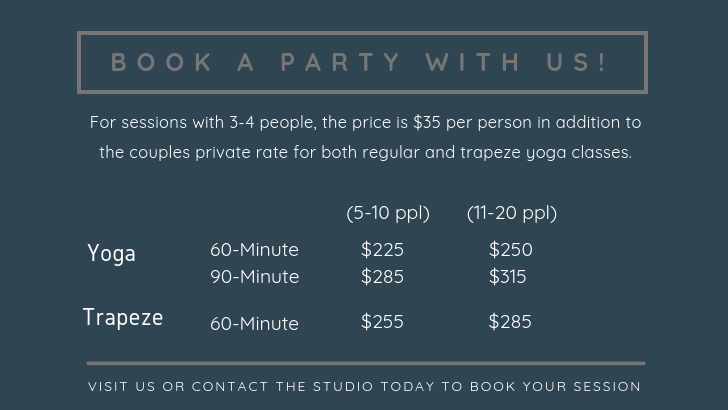 Have questions about a Private Session? Let us know! Tribal Yoga 2018 Designed by Sean Gatz, Jr.